Oh how I love great buttery flaky dough with pretty much anything! It is top favorites on my food lists for sure. But with all of the glorious sweets that are crossing our paths on a daily basis right now, I wanted to switch up the filling with something comforting and savory. 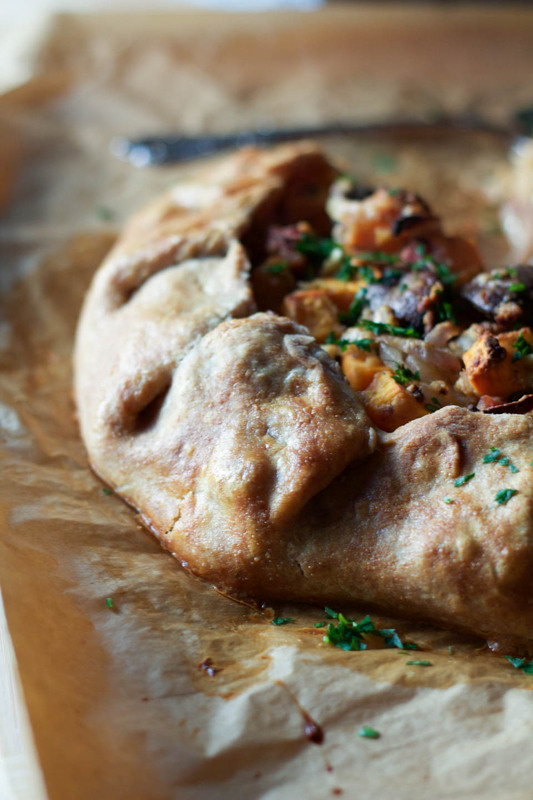 This Winter Vegetable Sausage Galette is the answer to all of our savory wants and needs this time of year. I was going to make it vegetarian, but I have been loving sausage with vegetables, and it’s a nice quick way to get a protein in our dishes, plus Brian kind of insists on meat! But it is super easy to omit for a vegetarian version of this, just don’t add it, easy as that. How have the past few weeks of holidays been treating you? I mentioned last post I am doing my best to take this time of year in stride and relax more than ever before. I was reading a newsletter from one of my favorite and inspiring people, Louis Hay, and she was talking about stress and the holidays. I connected with this very much. It was about taking this time to ask for help, relax, and really taking this time to practice being mindful, grateful, and loving. We all have a lot going on with family, friends, parties, shopping, work, and to do lists. So I am taking this time to realize it’s my choice in how I approach things and I choose to be chill about all of this to do stuff. And my most favorite thing to do when I am feeling overwhelmed and like I need a moment to chill, I bake. It’s a thing, it calms me, allows me to focus on the simple beauty of good food and then the following pleasure of sharing it with my most favorite people! This savory galette is just perfect for this time of year, the smell of the thyme in the crust, and it bubbling away in the oven made my day. I am all about bettering myself and learning to take things as they come, and change how I think for the better. Baking in particular helps me do that, so it was just the thing to read and learn about during this time of year. 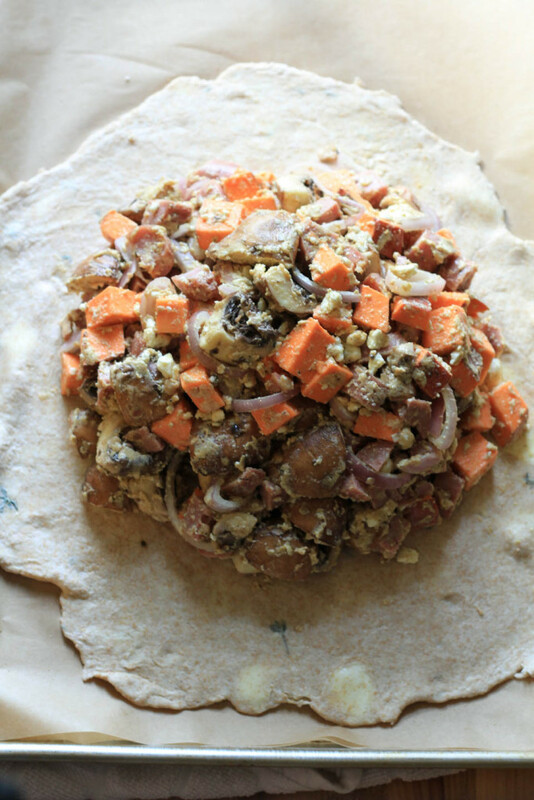 And perfect timing for my day in the kitchen with this lovely savory galette, which turned out simple beautiful! I hope you take a moment to relax, enjoy, and make this galette. If you are having a tough day, it will make everything all better! I chose to go with a whole wheat pastry flour for this recipe, with a touch of all purpose, so it is healthier and has a nice hint of nuttiness from the wheat flour, which I love. A note on working with this dough. Keep all ingredients as cold as possible at all times. Work very gently with the flour, the more gentle you are with the dough, the flakier it will be! 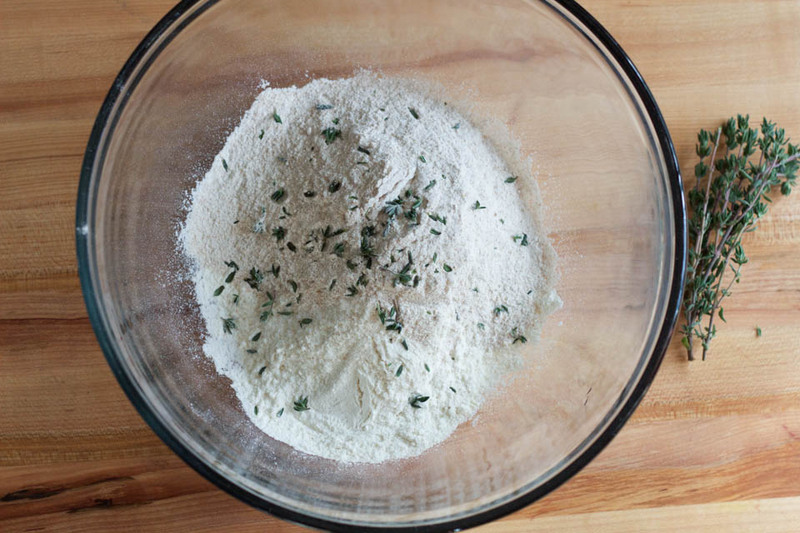 Bring together gently in the bowl, fold over a few times to incorporate all of the butter and flour. Shape into a ball right in the bowl, cover, and place in fridge for 15 minutes. While the dough is resting, work on the filling. 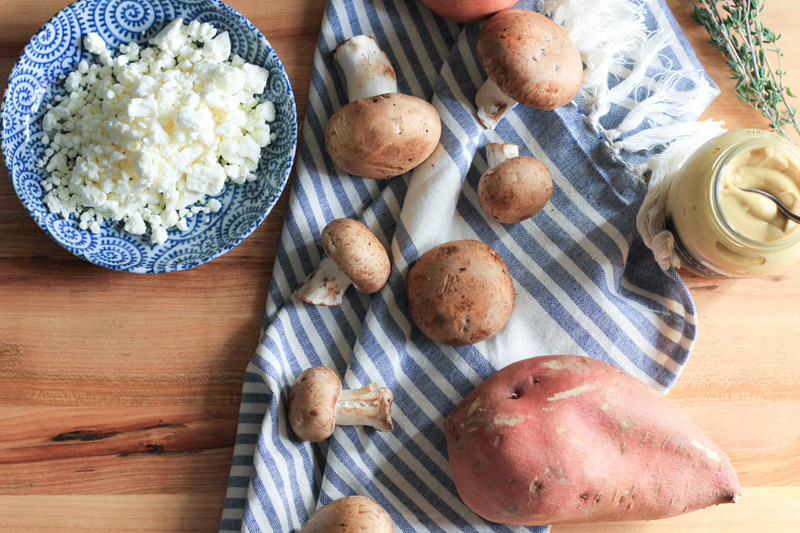 Place feta cheese, olive oil, mustard, and flour in a large bowl, use a fork to whisk together. Add sausage, yams, mushrooms, and shallots to mustard mixture, mix to combine well using a spatula. Place oven rack in lower third of oven for best results, and to avoid a soggy dough bottom. Preheat oven 400 degrees. 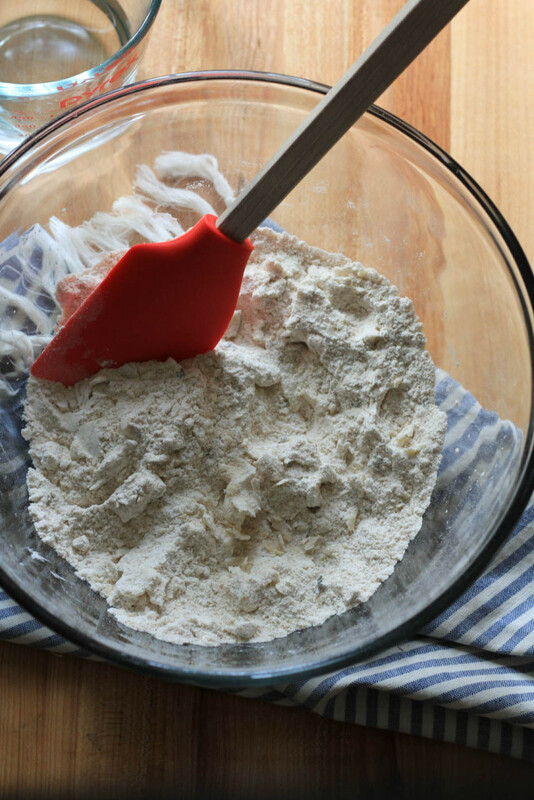 Remove the dough from refrigerator, place on lightly floured counter, roll out to 1/4 inch thick circle, about 12 inches in diameter. 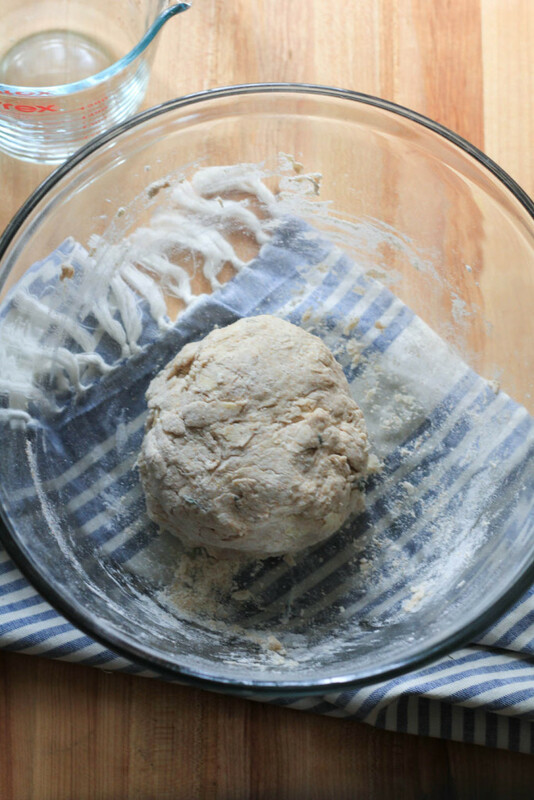 Place dough on parchment lined sheet pan. Place filling in the center of the circle, leaving about 2-3 inches around. Fold the dough onto the filling. Using a pastry brush, brush on egg wash.
Place sheet pan with galette in the freezer for a minimum of 15 minutes. Remove from freezer and bake for 45 minutes, or until crust is golden brown. 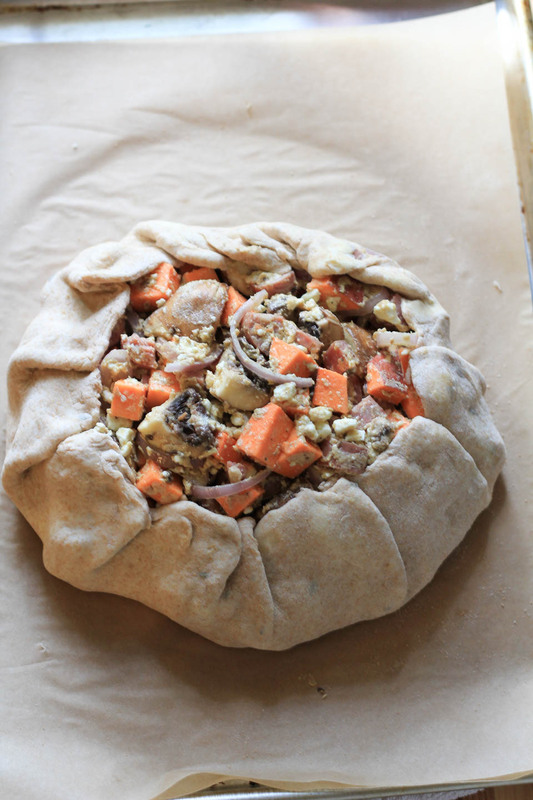 You can also remove the galette from the freezer, place in ziplock bag and place in freezer for up to 1 month. Bake on sheet pan directly out of freezer for 55 minutes, or until golden brown. If you have questions on dough making, I am here, ask away! I want to stuff my face with this galette!! It would brighten any winter day! That filling looks so hearty and delicious. 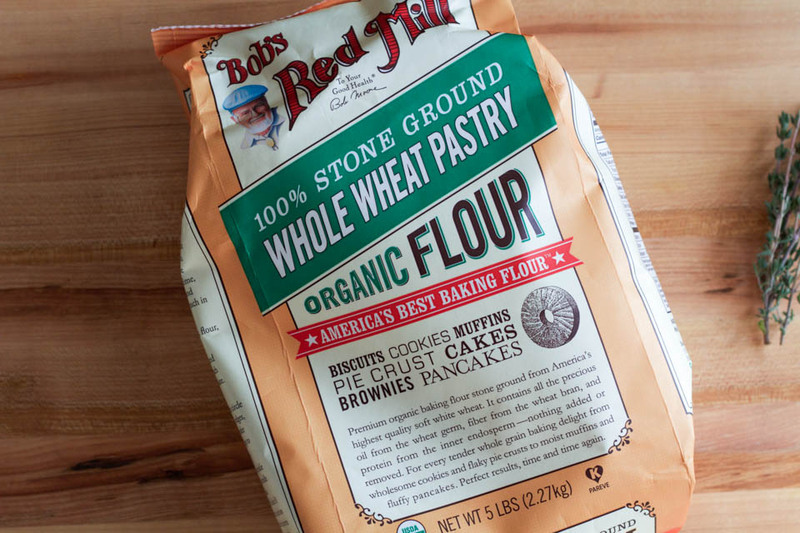 Bob’s Red Mill is a staple in my pantry, but I’ve yet to try the whole wheat pastry flour. Need to give that a try! This is pure comfort in galette form. The sausage is perfect with all those winter vegetables. Plus that crust….oh my! 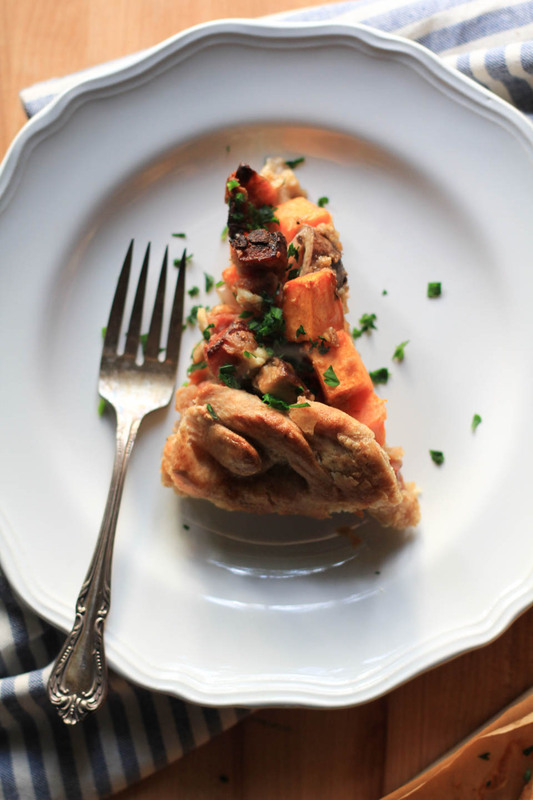 I LOVE LOVE LOVE savory galettes and I’m so glad you didn’t omit the sausage in this one, I bet it goes perfectly with those hearty winter veggies! I adore galettes and this one looks so phenomenal! Butter crust … be still my heart. The galette looks delicious, but you’re right; that crust is the star! Winter veggies and Bob’s? I’m so game! This looks delish! 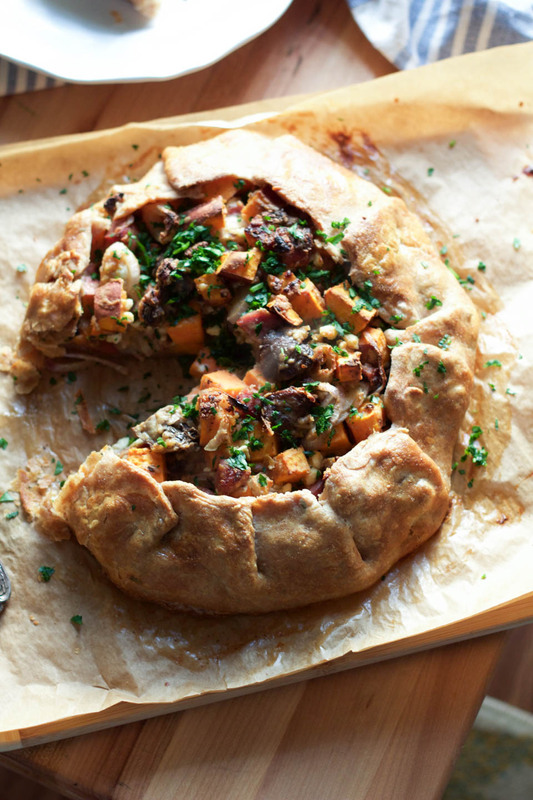 Love this idea of sausage and veggies and a hearty crust. Comfort all the way!